Perfect Imaging is a medical imaging systems technology and teleradiology company that developed one of the most popular cloud PACS software systems available. This system, called PACSstar , is a hosted and integrated PACS workflow management software solution for hospitals, radiologists, imaging centers and teleradiology service providers. PACStar was designed by radiologists in collaboration with medical imaging software specialists specifically for the day-to-day requirements of hospitals, radiologists, imaging centers and teleradiology service providers. Important features of PACSstar include automatic order generation, single-click radiologist's worklist management, document storage, an advanced image/information routing engine and many more. 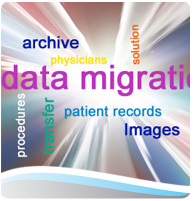 We sell, integrate, install, service and support PACS, RIS and DICOM software products and systems. Perfect Imaging is a radiology PACS system and workflow software company based in Beachwood, Ohio. Our firm helps teleradiology practices simplify and speed their workflow, routing, reporting and billing processes through its hosted teleradiology PACS solution, PACSstar. We license PACSstar to teleradiology companies and virtual radiologic teleradiology services. For information about teleradiology software licensing rates and PACS software prices, please call 866-228-8778.